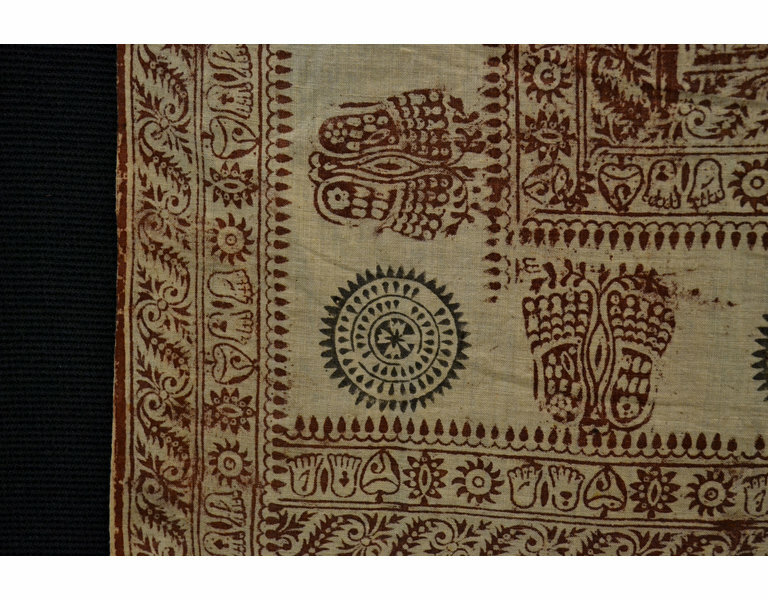 Prayer-shawl or 'namabali', rectangular unbleached cotton block-printed with strings of sacred texts, mainly various names of Vishnu (hence 'namabali') in a grid pattern. The borders are adorned with 'Vishnu's footprint' ('Vishnupada'). 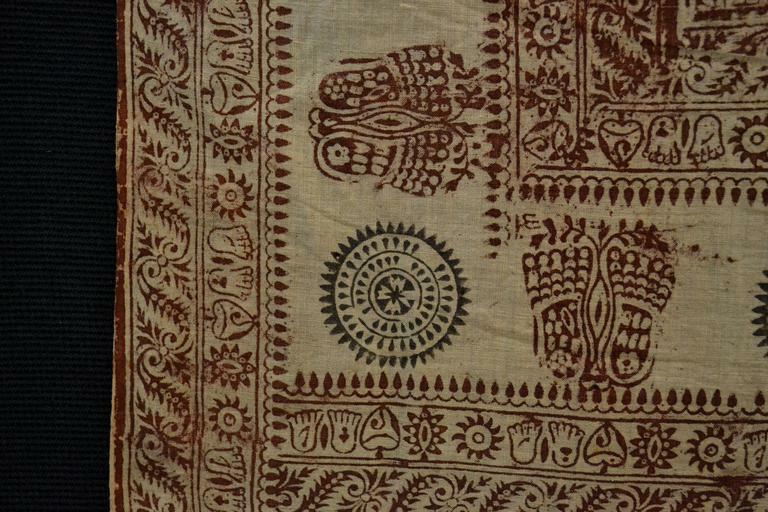 Worn by Vaishnavite devotees of both sexes during their prayers also as a wrapper by devotees. Complete piece. Intended for use as a garment, worn during prayer. 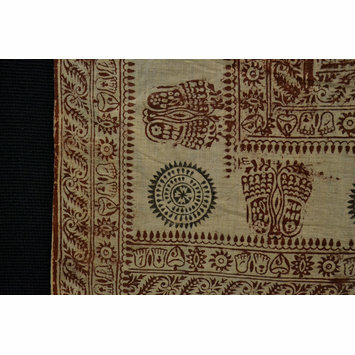 Textile, printed cotton prayer shawl, Dhaka, ca. 1855-1879. Skelton, Robert and Mark Francis eds., Arts of Bengal, text by Robert Skelton, John Lowry, Andrew Topsfield, Veronica Murphy and Susan Stronge, London: Whitechapel Art Gallery 1979, no.188, p.67.